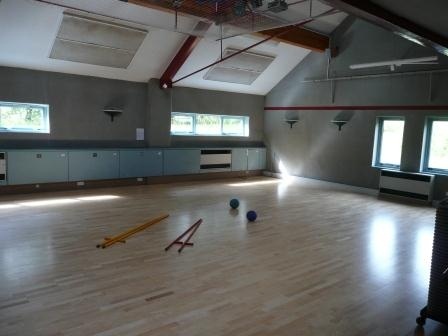 The Broadlee Wing houses our Sports Hall (with its own climbing wall), Meeting Room, Boot Store, Craft Room and Resources Room. 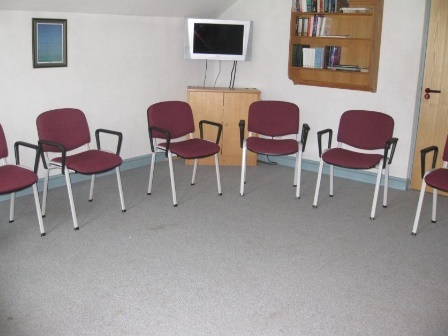 The Jaggers Room is a small meeting room ideal for small group discussions. There is a wall mounted screen for projection. 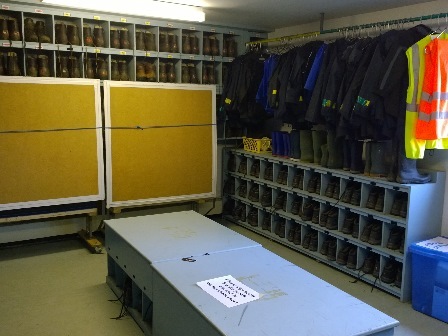 Boots, rucksacks, waterproof trousers and jackets are available to hire for a small additional charge. 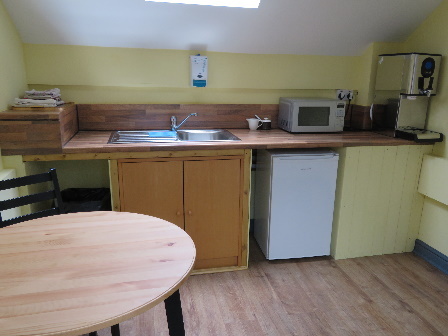 The Craft Room, available for use at no extra charge, is well stocked with the basics for art and craft and has two badge making machines. There is space for a medium sized group to work but you can extend into the Jaggers Room next door for a larger group. 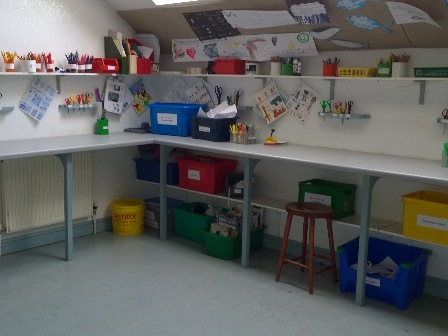 The craft room is stocked with a variety of materials including paper, card, paint, pens etc etc. Create art, sculptures and even furniture from newspaper using this fantastic machine. All the equipment needed to make your own badges using pictures from magazines, your own artwork or whatever your creativity allows. Make use of our Unihoc set, foam footballs, play parachute and more. Lots of in-situ disco lights (easy to operate) plus a Numark Mixdeck Express with 2 x 1000W speakers (kept in the Boot store next door). 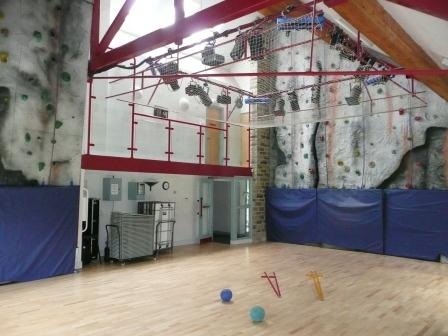 See our Activities if you wish to use our top quality climbing wall (sessions need to be booked in advance). Two big boxes of wonderful variety. We have many objects of religious significance ranging from candles, crosses, hangings and communion gear, to stones and icons for meditation for your use. We also have copies of “The Source," “Hymns Old and New," “The Wee Worship Book," Rob Bell's Nooma DVDs 1 - 23, Bibles, prayer books and sketches for use in worship. A lightweight Yamaha keyboard + a box of music stands, the odd recorder and many rattly, bangy things that live in the Resources Store. The disco sound system (kept in the Boot store) can also amplify other things like bands and movies and includes an 8 channel mixer amp, 2 radio mikes, wired mikes, stands etc..
A Data Projector for use with your own laptop, anywhere in the building. Two flip chart whiteboards, (please bring your own flip chart pads) board pens, and a box of clip boards. Route cards for short, medium, long and night walks. Tell us if you want a route we haven't done yet and we'll do it. You can access our nightline equipment, village quiz and trail and our mini-orienteering equipment in the resources store. All come with instructions should you wish to use these yourselves, or alternatively you can book an instructor to run the activity for you. Either way, please ensure that we know if you intend to use the equipment.